Recently we received V-tech’s newest hand held learning device, the MobiGo , which will soon be release in stores. The V-tech MobiGo has touch screen technology, touch controls that includes tap, flick, pat and drag & drop, kids learn with fun on the same technology as parents ( and in our case, their older siblings) do with their touch-screen devices. The first thing he noticed when we took it out the box was that it slides open to reveal the QWERTY keyboard , he said “ it’s like Tyler’s (his teenage brother) phone“. I think right off this make it “cool” to him. When we are getting ready to get in the car and my older boys are grabbing their games devises to bring along, now my little one MUST have his MobiGo, which I will admit has made many car rides (short and long) a little more peaceful. Beside it just being FUN, the MobiGo is also educational, which is a big plus for me when I am looking for products to purchase my kids. From coloring, drawing and playing instruments, kids can discover a wide variety of fun and engaging learning games. MobiGo teaches a wide range of skills including math, vocabulary, spelling, logic and categorization. The slide open QWERTY keyboard introduces older kids to text typing skills. You do need a cartridge to begin play, but it comes with a Touch & Learn Game Pack. The games on the Touch & Learn cartridge was a hit with my 3 yr old right away ! I really like that the games have an easy or difficult level so it can grow with him. Fantastic Forest: HIS FAVORITE RIGHT NOW!! You have to help a squirrel gather nuts by connecting dots and drawing shapes. As you do this, it forms objects (such as a rope, wheel etc.. )that the squirrel uses to move around the forest. Ice Escape: ( Shhh… I like playing this one)You have to help a penguin move around ice blocks by sliding ice blocks out of the way and melting snowballs so that the penguin can reach the fish. Shooting Gallery: Ducks go by with a letter on them. You “shoot” them down by pressing the appropriate letter on the QWERTY keyboard. Space Challenge: This is a number sequence game. There are two numbers on the bottom of the screen. Spaceships go by with numbers and you touch the spaceship with the appropriate number to finish the sequence. Wild Fun: This is one of those games where you have to find an animal that is different from the others. Music Maestro: Musical notes appear over drums, keys and strings so that you can help play well-known kid songs. You can play in game mode or free-style mode. Downloadable Content: Additional games and content will be available for download so kids can customize their MobiGo with the latest innovative games and continue the learning and fun for years to come. Portable: Handheld robust gaming console makes learning fun on the go for little hands and is equipped with headphone and AC adapter jacks. 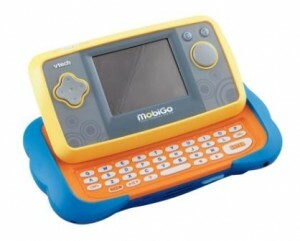 MobiGo will be available nationwide in August at key retailers and online at www.vtechkids.com. Visit V-Tech , then come back and tell us what other V-tech product catches your eye. One winner will be chosen ! I will be using a random number generator to select the winner. Contest ends at 11:59pm CST on 6/27/10. If the prize is not claimed in 48 hours a new winner will be chosen.Contest open to U.S. residents only. I also like the Kidizoom Plus Camera. the nitro junior netbook also looks like a lot of fun. My daughter would really like the Kidizoom™ Plus Pink camera. I like the Disney Princess Magic Wand Laptop. I love the Nitro Web Notebook. I have your badge on the sidebar at http://contestcouture.blogspot.com/. I added your blog on the blogroll at http://contestcouture.blogspot.com/. My little girl would love to have the Disney Princess Magic Wand Laptop! My son would love the mouskadoer laptop. Thanks for the chance. I'd love to try the VReader, too! I follow via Google Friend Connect as ParentingAuthor. my son would love the mousekadoer laptop! My daughter would love the Kidizoom™ Plus Pink camera. 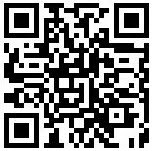 Subscribe to Life In A House Of Blue via e-mail. i like life in a house of blue on facebook. Tritan would like the VFlash game system. I like the kidizoom camera. I am thinking of getting one for each boy this Christmas. My four year old would love the Kidizoom. Thanks for the giveaway. I am also loving the Nitro web notebook in pink. Thanks for the fantastic giveaway! I also like the VTech Letter Book. I like the new V-Reader and think my niece would love it. I follow in blogger/google reader/connect. Chubby-huggy likes the Disney Princess Dial 'n Learn Telephone. I like the Kidizoom camera. I like the V Reader at V Tech. I follow on twitter and tweeted this giveaway. I like the Tote and Go Laptop! We would like the Iron Man 2 Learning Laptop. My girls would love the v reader! Commented on Pedipeds washable shoes!